Archive | So you want to buy back a piece of your childhood? That phrase has been bandied about a lot the last few years. As us kids of the 60’s, 70’s, and 80’s grow up, get real, and go about the business of trying to buy back our lost hot wheels, hot rods, hot looks, and everything else that reminds us of the times when life was care free, rent free, and guilt was something that wouldn’t evolve until at least the tenth time you made that same mistake. One of the biggest problems is that some of us can’t even remember what it was like. Every once in a while there is that fleeting little moment of de-ja vu, that manifests itself in an emotion that hasn’t been felt since.....well....you just can’t remember when. When we were about a mile from Portland International Raceway, a feeling started to come over me. Something I hadn’t felt in 25 years was about to dredge itself up from depths so deep I had forgotten it was ever there. Suddenly I heard that noise and it all came flooding back. Smell of burning methanol, and 800 screaming horse power seemed so familiar it was like it had never gone away. After I came home I was talking to Mike (your intrepid publisher), and he mentioned that Steve, our golf buddy might have four tickets to the U.S. Grand Prix at Indy in September (see Rust Issue # three for that story). So we went to the race, and I went over to the dark side and jumped back on the Ferrari Bandwagon I had gotten on in the ’70s, when my dad took me to the first two Long Beach Grand Prix’s, where I got to meet Niki Lauda and had breakfast with Chris Econamaki at the next table. So now it is all coming back; Bryer Motor Sports Park, New Hampshire International Raceway, Watkins Glen, Can Am, Trans Am, Dad’s picture of himself and Mario in the pits in the ’60s. One week, and a 1200 mile trip later, I open the box and start looking through 600-700 shots that haven’t seen the light of day in 30 years. Some of the gems you now see with in these pages. The shot of Mark Donahue in the Javelin explained an argument my mom and dad had in the AMC dealership in Laconia New Hampshire in 1970. A few years later, when convoys, rubber duckies, and Trans Ams with ugly birds on the hoods became icons of pop culture, my grandfathers C.B. company went through the roof. 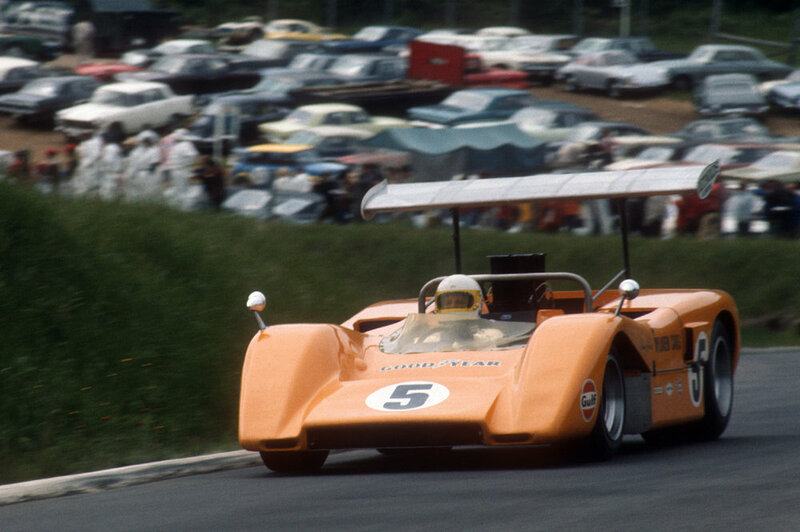 With a little help from Dad, they became the lead sponsor of the UOP Dodge Shadow Can Am team for 1973, ‘74, and ‘75. The driver was Randy Lewis. These photo’s cover ‘68, ‘69, and ‘70 Can Am and F1. The Can Am shots are from St. Jovite Canada. The Trans Am is from Bryer Motor Sport Park in New Hampshire, and the F1 is from Watkins Glen New York. 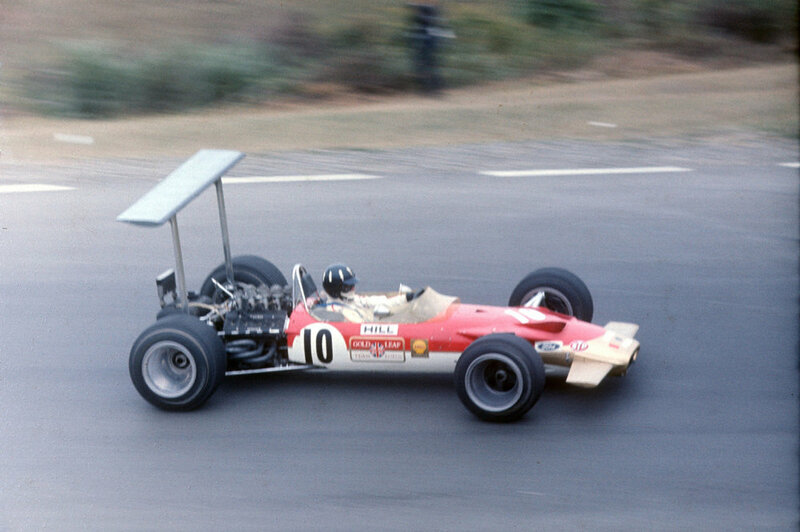 There are shots of Denny Hulme, John Curtees, Mario, Jackie Stewart, and many more. 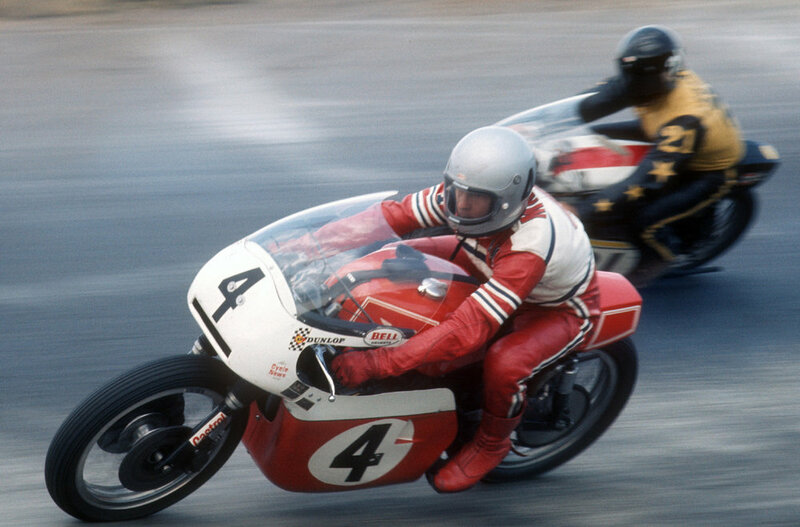 The shots of Bruce McClaren were taken a month before he died in a crash. So, as I am going through these pictures, and remembering all of those little moments from childhood that I had all but forgotten, I can’t help but realize it really is true. The best things in life are free.